Santa Claus is legendary for customer satisfaction and on-time Christmas Eve performance. 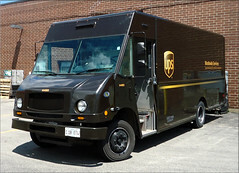 UPS package delivery, despite its ubiquitous brown trucks . . . not so much. Thousands — probably hundreds of thousands — of gifts failed to arrive in time for Christmas. Don’t blame Santa. UPS is taking most of the heat for delaying Christmas presents this year, with some heat left over for its competitor, FedEx. Customers were enraged, according to the lead story on ABC Evening News the day after Christmas. It was, after all, a slow news day, and ABC might have overplayed the story. But late Christmas presents have an undeniable human-interest element. The reasons for delays ranged from winter weather, to overload of UPS air package delivery system, to heavy last-minute shopping at Internet retailers, such as Amazon.com. The volume was compounded by offers of discounted shipping and free shipping in the mad rush of the last shopping days. Delivery was promised by Christmas Eve, naturally. Some customers paid extra for expedited shipping. Most of the anguish and excuses ring hollow, at least to me. This delivery debacle was predictable and avoidable. Customers could have escaped disappointment by shopping a day or two earlier. The biggest companies involved, Amazon, Walmart and UPS, all are famous for their logistics and computers. The volume of shopping must have been known at Amazon and UPS. Those companies are supposed to be nimble enough to create workarounds for log-jammed systems. Backup plans could have been ready to roll out. Most obviously, Amazon might have been savvy enough not to rely so much on one contractor, UPS. Delivery alternatives exist. Sharing more of the delivery business with FedEx, apparently not nearly so overwhelmed, was an obvious option. I don’t think the ABC report even mentioned FedEx. The Washington Post, which played the story more appropriately, on page A16 Dec. 26, made reference to similar but less extensive problems at FedEx. But what about the United States Postal Service? My father was a delivery driver for the Postal Service, back in the day when the Post Office delivered nearly all the heavy volume of Christmas mail. Postal workers welcomed the overtime pay. And the Post Office, famous for its motto — “Neither rain nor snow nor dark of night” — would not have dared use winter weather as an excuse for late Christmas packages. 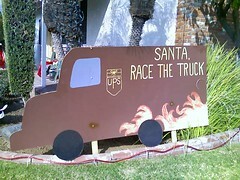 Doesn’t UPS know that snow and ice are routine at Christmastime in Northern states? USPS has a reliable “Priority Mail” domestic package service, promising Christmas Eve delivery for packages mailed by Dec. 21. If you want to pay more, you can send it “Priority Mail Express” on Dec. 23 and it will get there Dec. 24. I sent a standard Priority Mail package for about $9 from Maryland one week before Christmas, and it arrived in Wisconsin with time to spare. I shed no tears for UPS, or Amazon, or their naive customers. One report speculated that dissatisfied online shoppers will remember the delivery problems and shop at brick-and-mortar retail stores next Christmas. That’s one prediction I can guarantee will not come true. The trend to online shopping and package delivery will continue unabated. And the deliveries will be made by truck, NOT drones. That’s a prediction you can depend on. This entry was posted in Economy, Life, News and tagged Amazon.com, Christmas, Customer service, FedEx, Internet retailers, News, Online shopping, United States Postal Service, UPS by Editor (Retired). Bookmark the permalink.